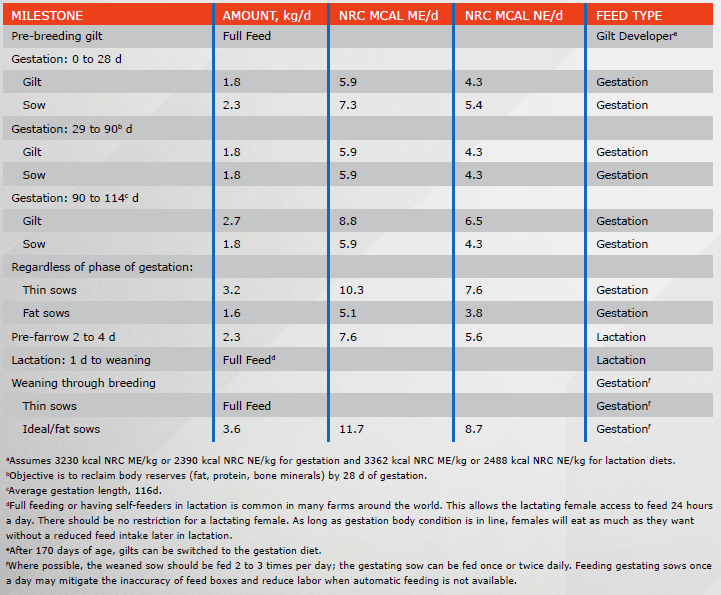 PIC sows are highly feed efficient. Overfeeding and underfeeding must be avoided to maximize the success of PIC sows and their offspring. TABLE J1. SOW FEEDING TARGETSa.